Flexible and Responsive theme for cooking or home's kitchen website. Thank you for purchasing our theme. If you have any questions that are beyond the scope of this help file, please feel free to email via contact form in my user page - here. Thanks so much! × Well Done! If you liked my work, please rate it. If you’re about to rate it with less than five stars, please, first let me know the reason and I will do best to improve the theme. × Important! For the activation in the first time, you need to reset all options (Reset All) which store your default options in the database, and then click 'Save Changes' (under menu 'Theme Options' on any tab). 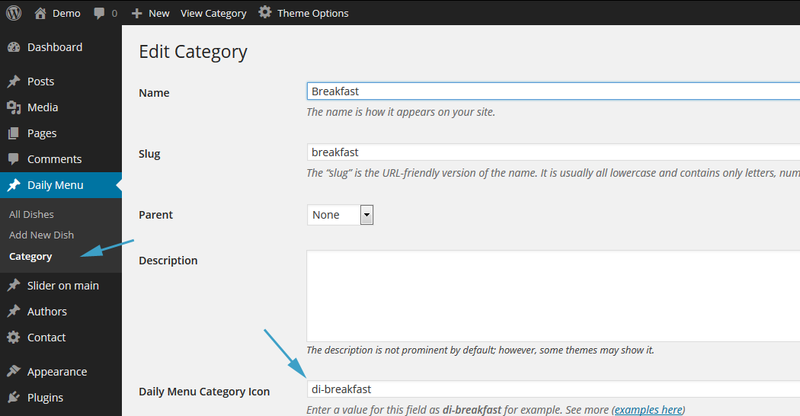 First and foremost, you need login to the admin panel of Wordpress. 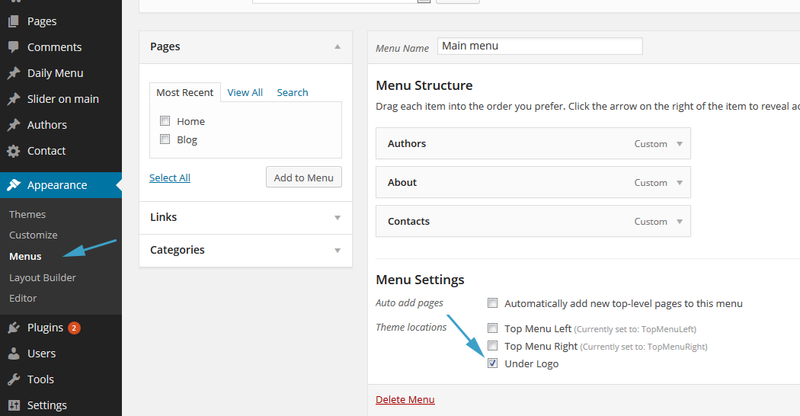 After, go to the menu 'Appearance → Themes' and click above link 'Add New'. Choose 'Upload. Note:If you have the troubles with file upload, you can use FTP Upload method. Using your FTP program, you must upload the non-zipped theme folder into the /wp-content/themes/ folder on your server. 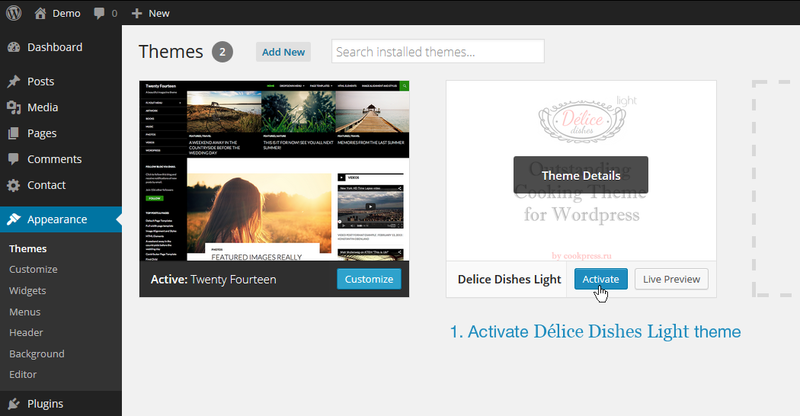 After successfull installation click on Activate or go to Appearance → Themes and click on Activate to activate the newly installed theme. Contact Form 7 — use for Contact page. During activation you'll be asked about Installing necessary Plugins - please install it. Next you need to configure it a bit. 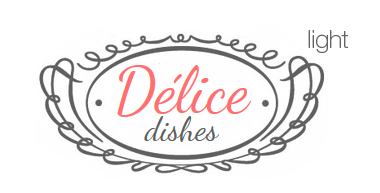 Set up icons for dish categories filter. 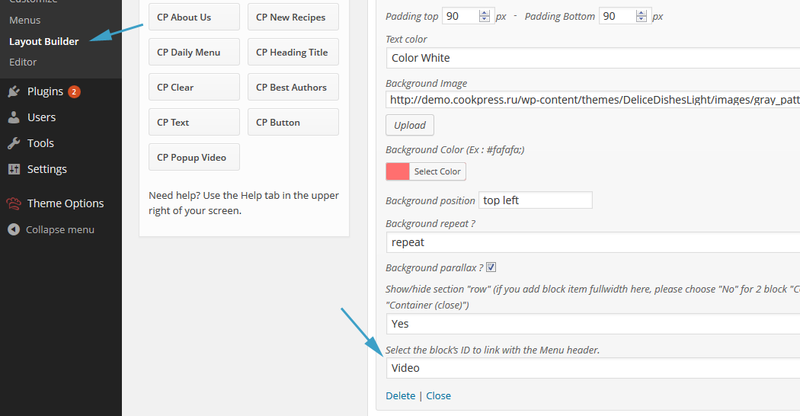 Choose block's IDs to assign topmenu navigation with blocks. 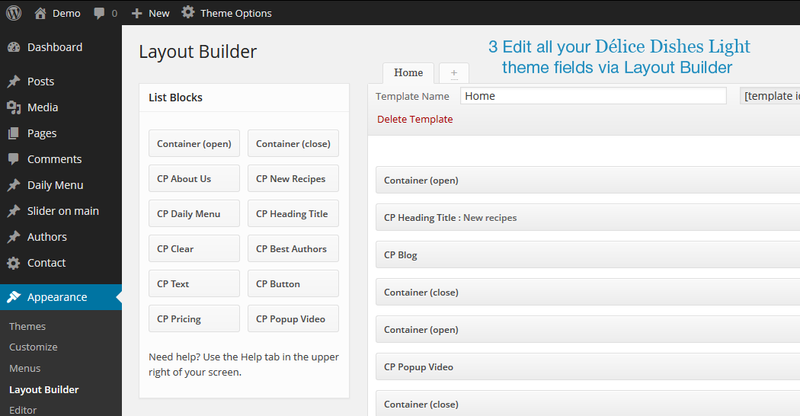 Easy edit your theme via Layout Builder. 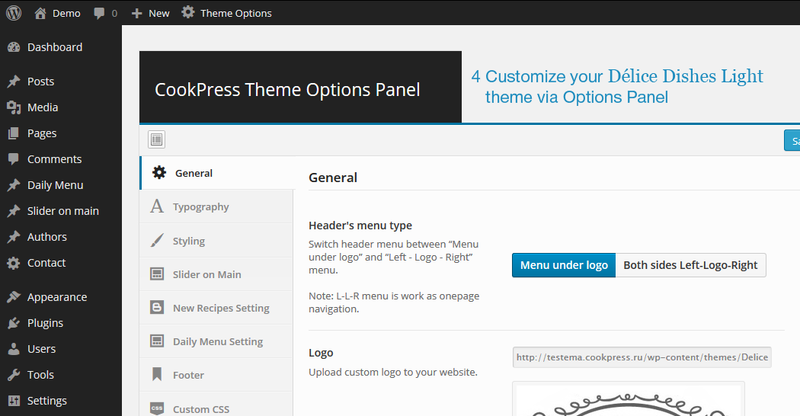 Customize your theme in Options Panel. You can choose two menu types on header: "L-L-R" (on the left and on the right side of the logo) or "Under Logo" - wide menu under the logo. Note: When you choose "L-L-R" type, your header's menu became a OnePage navigation menu. For first time activation, you need to hit Reset All to store your default options in the database and then hit Save Changes (Under menu Theme Options). Upload the demo content .xml (located in the zip package downloaded from ThemeForest) using the form provided on that page. You don’t need to install the package zip, only the theme zip contained within (DeliceDishesLight.zip). 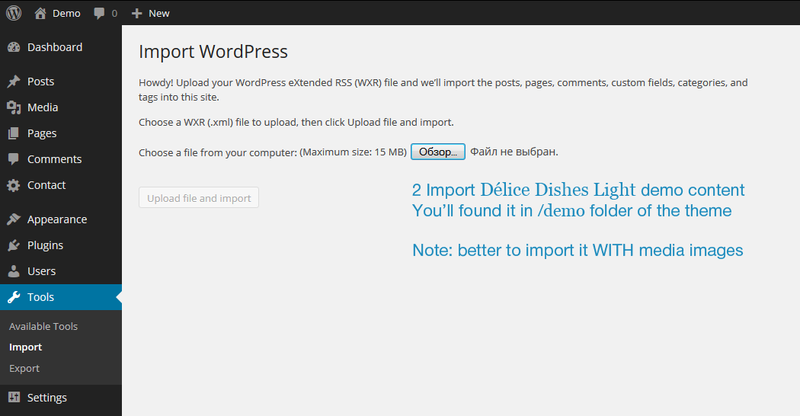 Solution: Update your WordPress installation to the latest version. Every time I try to save the options of the theme, it shows an Error! And nothing changes on the site. Be sure your theme files are writable! Font Awesome icons — the iconic font designed for Bootstrap. Infinite Scroll - This plugin aims to progressively enhance your page. Waypoints - This plugin aims to navigate on the page. Shuffle - Categorize, sort, and filter a responsive grid of items. Special font Counterscraps A set of kitchen-related dingbats in a lino-cut style. Write us on cookpress.ru@gmail.com if you have any questions. × Well Done! If you like my work, please rate it. If you’re about to rate it with less than 5 stars, please let me know the reason first and I will do my best to improve the theme.